The Canberra International Music Festival is set once again to present a packed program spread between two weekends. Photos: Supplied. 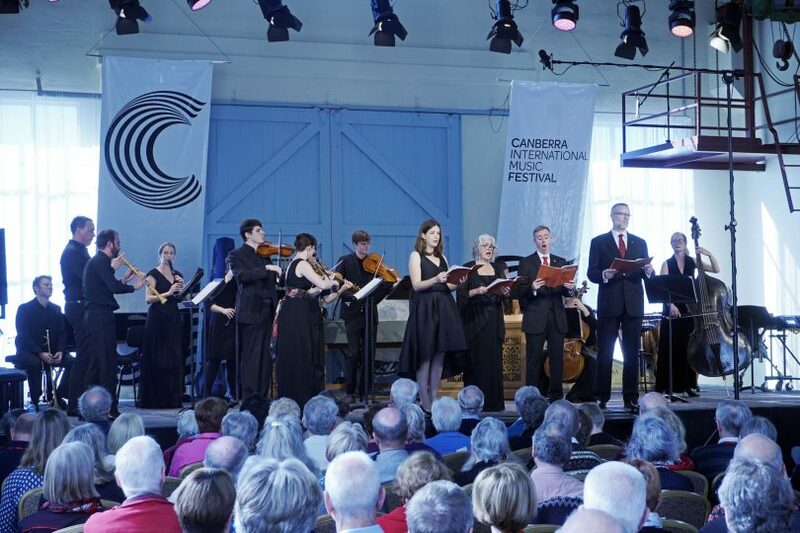 This year’s Canberra International Music Festival (CIMF) kicked off on Wednesday April 25 and is sure to delight and regale the city with its exciting ten-day program. Centred around the theme of ‘Return’, the program sports everything from highlights of the classical canon through to works by boundary-pushing contemporary composers. There’s certainly something on offer for everyone, with far too much going on to mention it all here. That’s why we’ve handpicked a few items in particular that will help you find your groove and get the most out of this annual musical smorgasbord. 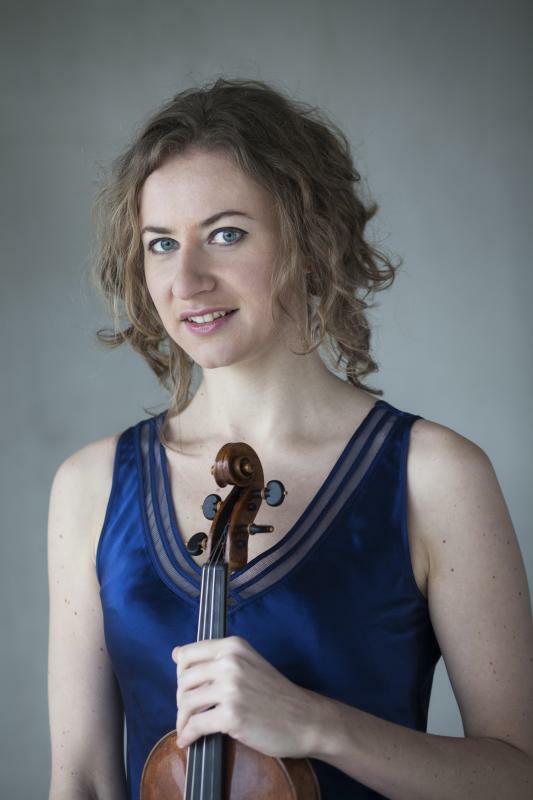 Cecilia Bernardini will perform and speak at Talk of the Town: The Violinists with Tim Fain on Saturday April 27. If the idea of a music festival centred primarily around classical music makes you feel a level of uncertainty, fear not. There are plenty of opportunities over the two weekends to dip your toe into the festival’s waters, as it were. The Opening Gala on Friday April 27 provides the perfect taster of the festival. A tribute to Australia’s First People, the performance features work by Canberra-based Indigenous composer, Brenda Gifford, programmed next to a series of Handel’s arias and duets. It’s an opportunity to see what all the fuss is about and figure out what lanes of the festival interest you. The Talk of the Town series at Gorman House is another way to engage directly with the artists and the works being performed. The intimate setting will hear stories and conversations (and maybe even a few bars played) as you learn directly from the artists, all with a refreshment in your hand. Tickets for these talks are only $10, making them an ideal way to engage with the program for newcomers to the world of classical music. If you’re feeling a little more adventurous, and want to dive right in to some of the CIMF’s more challenging moments, look no further than Ulysses Now on Wednesday May 3. Again exploring the festival theme of ‘Return’, the first half of the program features excerpts from Monteverdi’s Il ritorno d’Ulisse in patria, a retelling of Ulysses return to his homeland. The second half focuses on the plight of refugees, with three powerful contemporary pieces including works for clarinet trio, piano trio, and Robert Davidson’s Across the Water for cello and electronics. Set in the cavernous Fitter’s Workshop in Kingston, Ulysses Now offers a unique musical experience, and may leave you with more questions than answers. 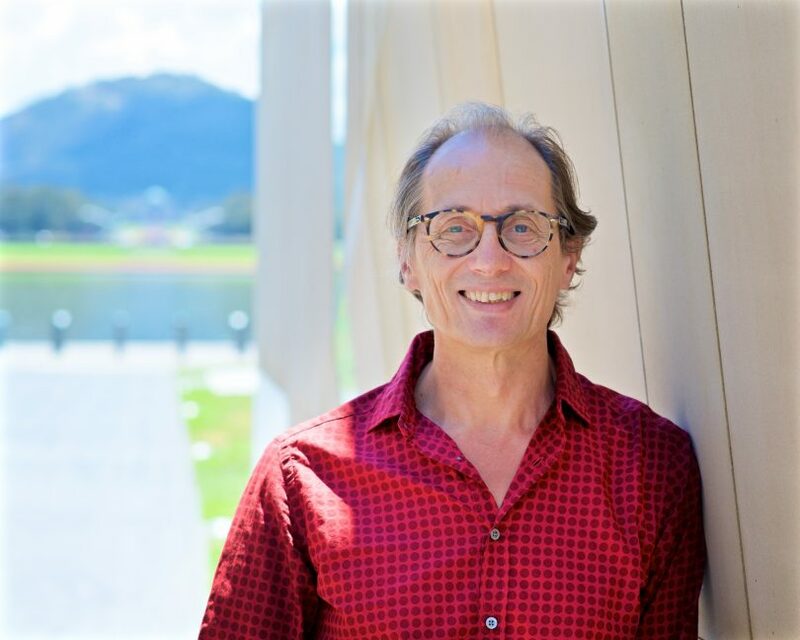 CIMF’s Artistic Director Roland Peelman understands as well as anyone the role music plays in Canberra’s cultural identity. Nestling beautifully into the city, the CIMF this year spans a breadth of local venues, both traditional and unexpected. Head to the National Gallery of Australia from 12.45 pm on Thursday May 3 for Art For Lunch: A Piano Recital at the NGA. Reserve a space on the Taste of the Country tour that will take you around to some of the region’s wineries and eateries while you enjoy performances along the way. The festival also hosts a large contingent of local musicians. A festival highlight will be seeing Canberra soprano Chloe Lankshear take to the stage alongside local alto Tobias Cole for Handel’s Israel in Egypt on Monday April 30. Return to Basics will take us back to the concept of music as a foundational educational pillar on Friday May 4 by way of conversations with composers and artists, all within the walls of Canberra Grammar School. The CIMF program is brimming with music set to delight young and old, but there are a few performances that the kids in particular will enjoy. A special concert of children’s favourite, Peter and the Wolf, on Sunday May 6 from 11 am – 12 pm will be sure to entertain and inspire the young and young-at-heart. A prelude will feature The Mad Hatter’s Tea Party, performed by five musicians representing characters from Lewis Caroll’s iconic book. 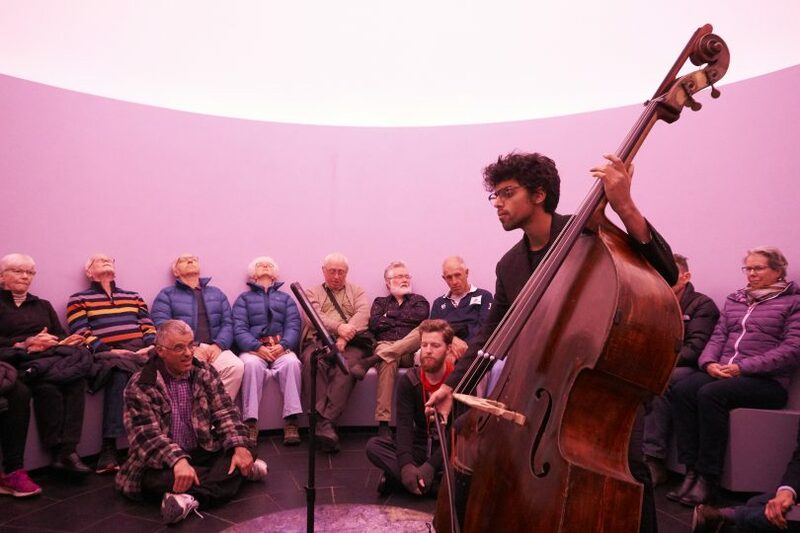 Rohan Dasika performed work by Benjamin Drury in the Turrell Sky Space last year. It’s important to keep in mind that performances at the CIMF are individually ticketed, and you’ll need to purchase passes to attend the events that interest you. If you’re keen to see absolutely everything the festival has to offer, look no further than an all-inclusive Festival Pass. However, a Choose Your Own Adventure Pass will admit you into five performances of your choosing from across eligible areas of the program, and score you a healthy 10 per cent discount on the lot. Student rush tickets are also available for several performances, including Benjamin Bagby’s realisation of Beowulf on Saturday May 5. All that said, there are plenty of performances that you can access completely for free, such as Sunset, by recorder virtuoso Susannah Borsch, which takes place in the James Turrell Skyspace at the National Gallery from 5pm on Wednesday May 2. For more information on ticketing, and to check out the entire program, head to cimf.org.au. What are you most excited to see at this year’s Canberra International Music Festival?